This years annual The Hundreds Labor Day Block Party has officially been cancelled. 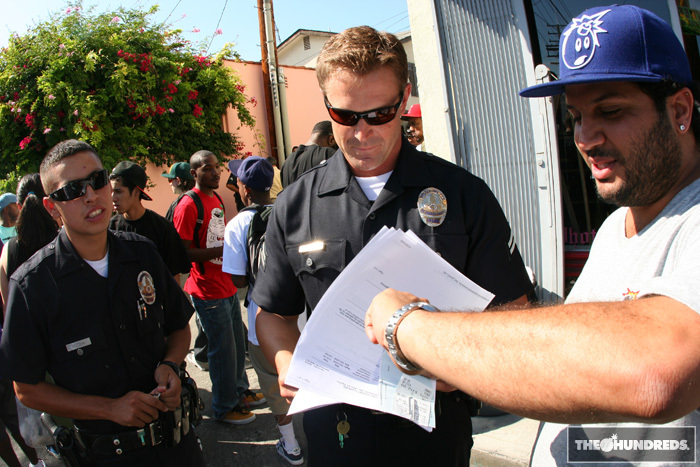 The event was to take place, as it has for the past three years, in front of the Los Angeles store on Fairfax. The guys invested a lot of time into the event - teaming up with Red Bull and arranging for a DJ AM tribute. You can read all the details surround the cancellation here. Let's just say Bobby and Ben are not impressed.